The Klear Screen DMT Antimicrobial Microfiber Cloth is a dual texture cloth that can be used for polishing and cleaning different types of displays and surfaces. 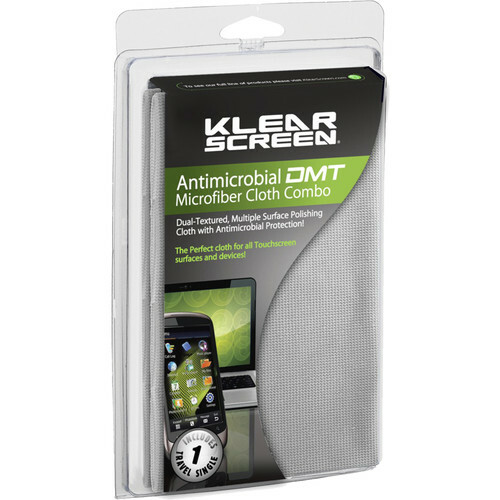 In addition to being washable and reusable, the optical grade antimicrobial treated DMT Cloth can eliminate up to 99% of the bacteria present on the cloth after cleaning. Box Dimensions (LxWxH) 8.5 x 5.25 x 1.0"